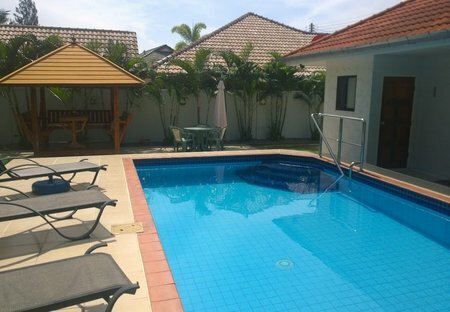 Rent villas in PAK NAM PRAN, Thailand with private pools. Book affordable holiday rentals that are near a beach. Luxurious and relaxing villa set amongst mango orchards with a stunning backdrop in the coastal fishing village of Paknampran. Sparkling pool and jacuzzi. Close proximity to local town and amenities.